Make a musical instrument that you play without actually touching it! The arduino theremin can be played using your hand, and can play multiple tones. Piezo buzzer. These are great low-speed motors, but there are many other options! Jumper Wires. These should fit snugly on the motors. Use jumper wires to connect the LEDs, piezo and ultrasound distance sensor to the Arduino. We will build the code in 3 stages. Add the pieze tone code to get music! Copy this code and paste it in a new Arduino sketch. Ensure the pin numbers assigned in the code are the same as the ones on your connections on the breadboard. 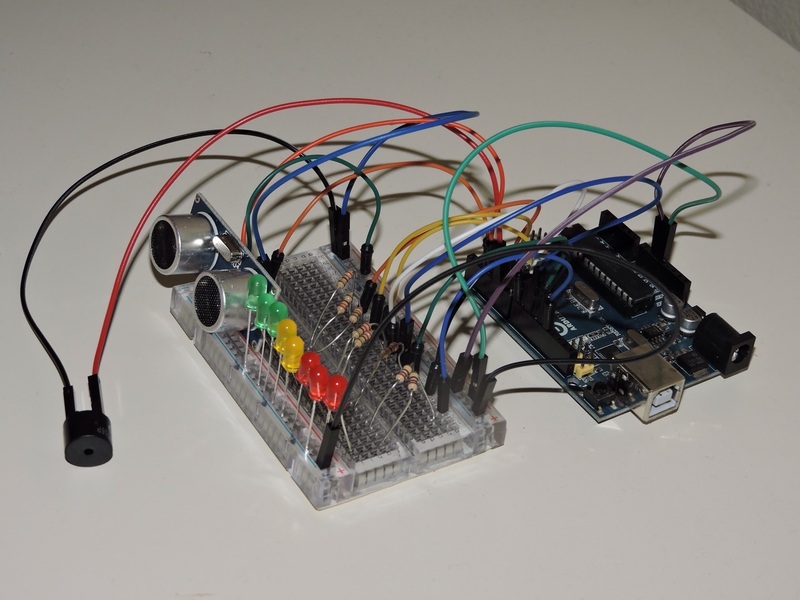 Verify your code and Upload the code into the Arduino. You should see one LED light up, when your hand is between 4cm and 25 cm of the distance sensor. It should go off, at all other distances. We will extend the step above for all the connected LEDs. The code will look something like this. This code lights up the LEDs like a bar graph. More LEDs are lit, the farther your hand is from the sensor. Now we will add sound to the project, with the piezo buzzer code. The tone definitions go at the top of the file. The code to play the tone is inserted with the LED code. Here is the reference.